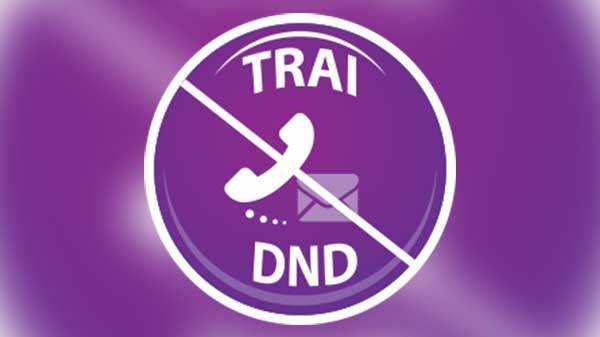 Apple and the TRAI (Telecom Regulatory Authority of India)’s clash regarding the Do Not Disturb app for the iOS platform came to an end when TRAI threatened to render iOS devices useless in the country. Apple’s primary concern was the violation of privacy. But the concern of curbing spam forced the government to step in and take a legal course of action. The TRAI DND app is now available for download on Apple’s App Store for iPhones. The app offers protection against spam calls and text messages in India. Read on to learn more about what the DND app can do for you and how you can make use of its features. If you are already in the National Do Not Call registry maintained by TRAI, if you aren’t, the following will be your first step. You can do this through the TRAI app itself. This will involve sending an SMS to 1909. The app will also allow you to select your DND preferences and will set up the SMS to send. Registering your name in the National Do Not Call registry might take a few days to take though. Although the registration doesn’t happen quickly, you can still activate the remaining features of the app. To use the features, you need to enable the extension through the settings of your iPhone. You can do so by going to settings, choosing 'Phone’ and then 'SMS/Call Reporting’ and then choosing the TRAI DND option. This allows the app to receive information about the calls that you make. While this is clearly a privacy issue, this is the only way in which the service can be activated. After you have done the previous steps, you can report spam calls through your phone app on the Apple iPhone. In order to do this, you should swipe right to left on a number that is in your recent calls list and select the 'report’ option. This will allow you to report spam callers. The same procedure can be followed in the case of Spam SMS as well. This is done through an option called 'report message’ option that will be available below an SMS from any sender that is not in your contact list. But you need to be active on the NDNC registry in order to use this. You can do the reporting by sending an SMS to 1909. This is the official number that has been set aside for this purpose. These SMSes are also toll-free, this means that users need not worry about potential charges for sending the messages. Although the app cannot actively block spam calls, the reported numbers will be acted on by TRAI eventually. On the plus side, legitimate marketing callers will have access to the NDNC registry and are expected to not contact the numbers that are listed on the list. This app is useful when it comes to reporting spam calls and SMSes.